A conversation with Emmy-Award-Winning Editor Rebecca Snedeker and contributors to the book will be held on Wednesday, October 30 at 7PM, followed by a reception for Levees Lies Sugar Lead. 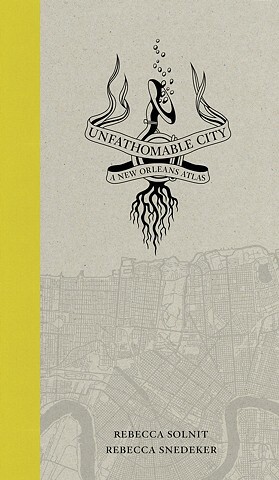 Pairing acts of rescue and of sabotage during Hurricane Katrina, migrations of the Houma indigenous tribe and erosion of the coast, antebellum plantations and present-day dialysis centers—and much more—Unfathomable City: A New Orleans Atlas, edited by Rebecca Solnit and Rebecca Snedeker, is a brilliant reinvention of the traditional atlas that will forever change the way you think about place. Levees Lies Sugar Lead presents a selection of maps from this radically innovative new book.